Part of the promotional strategy, Positioning and Branding focuses on how you want others to see you, like public relations and corporate image. You want to make sure your marketing plan and other areas of your business is in line with the way you want to be seen. Defining your brand and position will help you focus your efforts on a handful of things making it easier to remember you. What is Branding and Positioning? Branding is WHO you are according to everyone else. Positioning is WHERE you are according to everyone else. Branding: I am Salt. I want you to see me as a white bitter substance, not to be confused with sugar’s sweet. I want you to feel my bitterness on your tongue. I want you to taste sea water. I am branded as a flavor enhancer and take pride in my bitterness because it’s who I am. I am the thing that makes your food taste better. I am the thing that will help heal a wound and clean vegetables. I am the thing kids dare to eat large quantities of before taking a drink. I am Salt. Positioning: If you see me in a salt shaker with an S on it, I want you to assume that S is going to be Salt and not Sugar. Why? I spent years positioning myself in that salt shaker, right next to pepper. You don’t see all those All Seasonings in a salt shaker. Nope. Not Garlic Salt. Just salt. Why? Because of all my competition, I’m the best one for the table. I beat sugar for the table top. Sugar can have a tray or the countertop. I’m at the table with the family, listening to them talk about their school day. Not bad for the most bitter substance in the kitchen to be in the most intimate of locations. This is why you find me in Norman Rockwell paintings, sitcom television shows, and any place someone is trying to portray a family dinner. And when you hear someone say, “Pass me the salt,” you know that person is somewhere at a dinner table with their family and not in the kitchen cooking. Branding and Positioning aren’t necessarily based on fact. Macy’s and Walmart both sell a lot of the same products, but they each positioned themselves differently, and pricing is adjusted for it. Macy’s offers citizen watches at a higher price than Walmart because they positioned themselves as a premium service: luxury. You can see it with the other products they offer. Walmart has positioned themselves as a basic necessity at low prices. While both stores sell the same Citizen Watches at different prices, at Macy’s, you’re going to find products you can’t find at Walmart like Supima Cotton Sheets, and at Walmart you are going to find products you can’t find at Macy’s, like quality, more affordable sheets. Their product list and pricing strategy in both places support their Brand and Position. Take this quiz to help you determine your Branding. What is your favorite color? Why? Your blog, why did you choose that color scheme? Your business, what colors represent your company and why did you choose those colors? What is your favorite animal? Why? If your “company” is different from yourself, what do you think would be your company’s favorite animal? If you could create an animal to be your logo or spokesperson, what would it be? Why? Take a look at the results. Psychologically, we tend to think of our favorite color as a way to define who we are. For instance, my favorite color is light, all of the colors. Why? I am trying to live for God, who is light, who offered a rainbow of peace, who is love. To me, the entire spectrum represents all those things about me. Sometimes I’m a fiery, passionate red, but I’m also, at the exact same time, laid back as blue. In many ways, I’m a walking, talking paradox. This is who I am, not how I want others to see me. Our favorite animal, in psychology, often represents the way we want to be seen. For instance, my favorite animal is the tiger because it’s fierce, strong, and graceful. Nobody messes with a tiger. It can passively sit aside and keep to its own business, but provoke it, and it will aggressively pursue you. While the real me is a peaceful person on the inside all about the light and the love, my relationships with other people will often change that about me temporarily. Some people bring out my inner beast, something that wouldn’t happen when it’s just me. I kind of want people to see me as such as a form of self-preservation. When it comes to your business, you can compare and contrast your two lists. Maybe you can add to those lists now that you know what the questions mean and you have some perspective. Take the words from that list and choose 3 emotional words for who you are according to other people. Choose 3 images or icons to represent those words. For example, in my case, I might decide I want to brand myself as a gracefully ferocious, yet motherly, and passionate. My images to reflect that might be a tiger with cubs and a lot of red. I may otherwise decide I want to be gracefully ferocious and peaceful in one, and I’ll do that with tigers and rainbows. Now your position is more of a luxury vs necessity. As a writer, you may want to position yourself as an expert in a field such as autism or marketing. You may want to be a fiction writer. Maybe a savvy liberal who delves into the controversy of politics. As a blogger, you may want to position yourself as top-notch writing with long, well-written essays that might be worth a Pulitzer some day. You may want to position yourself as a down-to-earth writer who writes shorter memoir on an easier reading level. 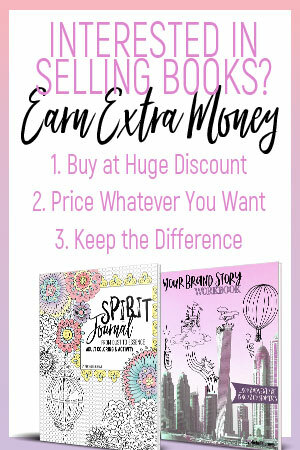 Or maybe you want to hit mainstream with lists and quick reads. Think about some famous people and how they have positioned themselves as a professional and a character. Stephen Colbert, for instance, wears a suit on his show for a reason, and the glasses just add to that image of a smart, witty, sarcastic political guru. He has branded himself as smart, classy, and sarcastic. He has positioned himself as a semi-luxury item that I’m sure advertisers pay top dollar for, not quite as high as an ad during the Super Bowl, but not exactly Country Music Network. A doctor of Psychology may write for journals and are highly esteemed in their field. On the flip side, Dr. Phil is not taken seriously by real professionals; however, mainstream people look up to him. One has positioned themselves as a Macy’s of Psychology while the other is the Walmart of Psychology. My favorite comparison is between Toni Morrison and James Patterson. Both write fiction; however Toni is a Pulitzer Prize fiction writer, and her work is as difficult to read as Shakespeare. Her work will influence lives beyond her grave for years to come, and it will be chosen by professors as a required read in future college literature classes. James Patterson, on the other hand, write mainstream fiction. You can read one of his books in less than 2 hours with ease, and if you fell asleep during Chapter 10, you won’t miss much. His fan base, and I’m sure book sales, are considerably higher than Toni Morrison, but it would be very strange if a college professor required their class to read one of his books to study literature. Toni writes literary works. She has positioned herself there. James, he writes grocery store fiction. He has positioned himself there. Neither is better than the other because both have two totally different goals and brands. It helps to write things out for purposes of focus. Getting a good idea of who you want to be and where you want to be helps guide you through marketing, design, and every facet of your business. 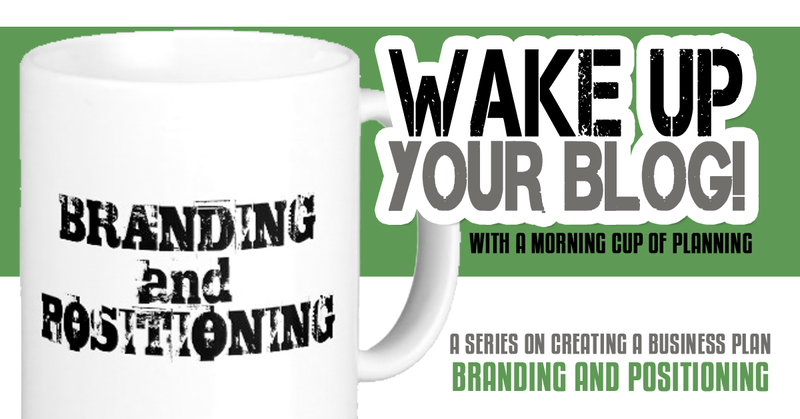 Branding and Positioning helps keep a focus on what you want and improve your public relations. You’ll make it easier to remember you when you incorporate these images and concepts in all you do. Keep checking back for more in this series on creating a business plan. Don’t want to miss it when it’s done? Go ahead and subscribe. 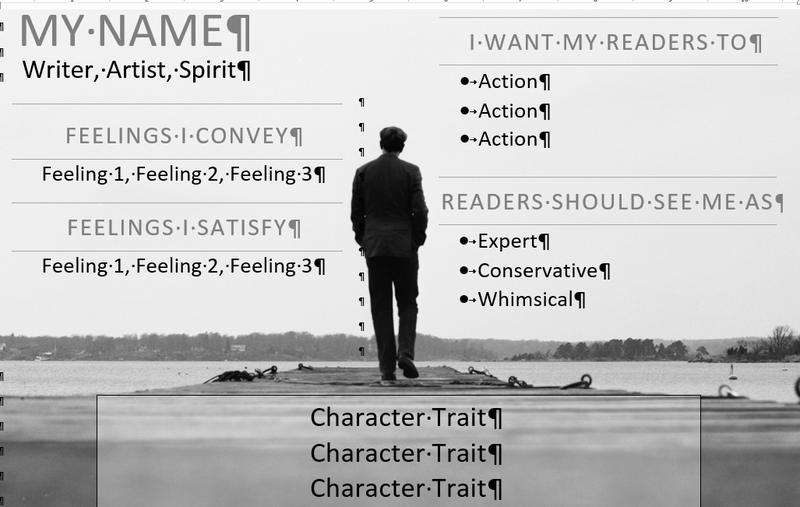 Get a free Word Template to help you define who you are and the emotions you portray. Plus other Business Plan Guides. It will look like this, perfect to print up and post near your computer.